NOOVO MAGAZINE,SPAIN - Online Magazine from Spain featured Zoran in their permanent section of contemporary designers. 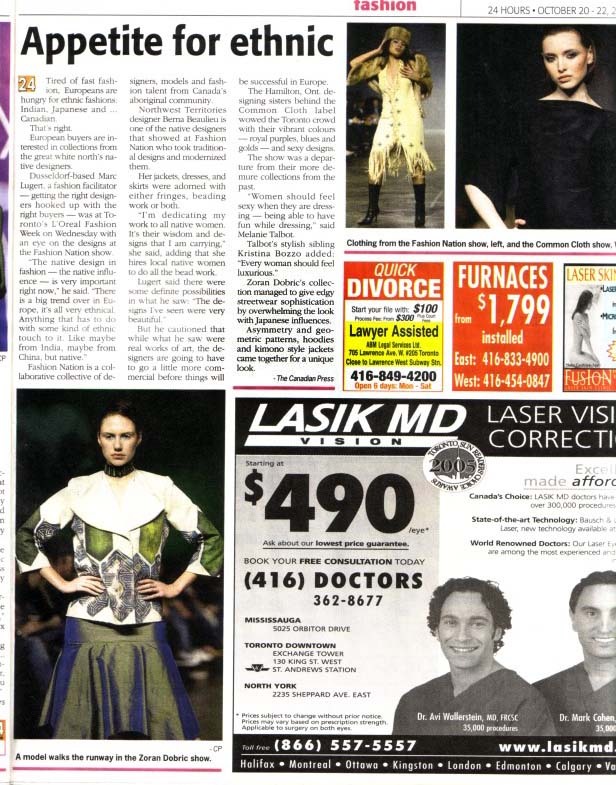 Zoran Dobric is the only Canadian designer featured. To view click here. 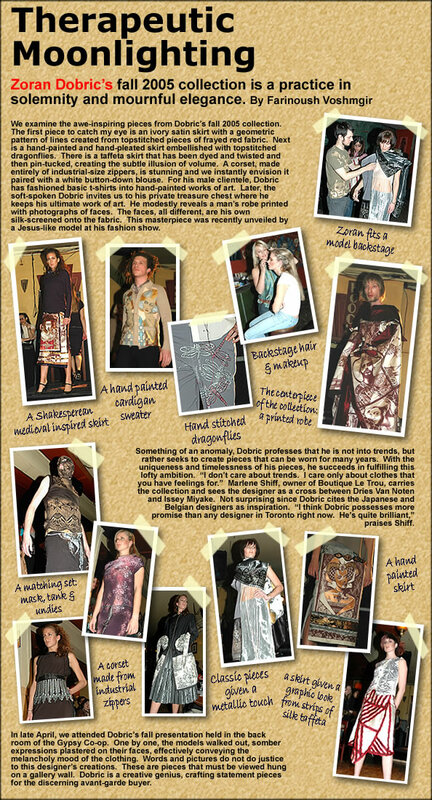 November 2004 Most promising designer (1st award) Art of Fashion "Hollywood"
Best Wearable Art -placed first at international finals in USA. 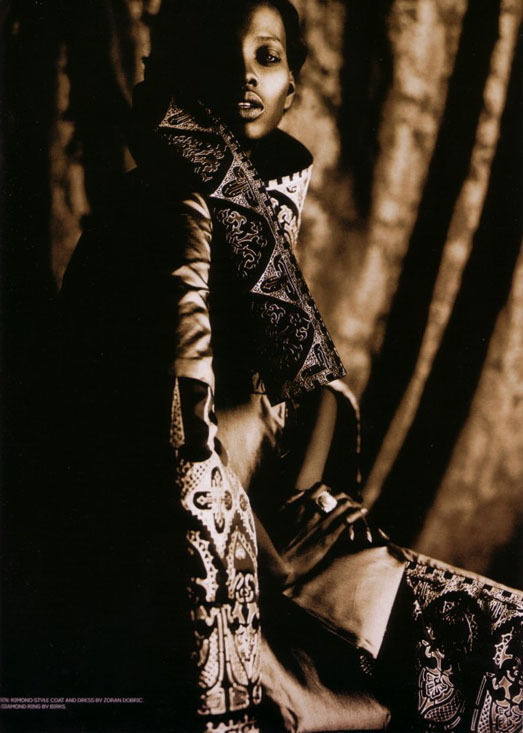 May 1998 Smirnoff International fashion Awards - chosen as one of 15 Canadian finalists.